HAFED is having 11 Rice Mills located at Ratia, Jakhal, Kalayat, Dhand, Ladwa, Pehowa, Radaur, Taraori, Ding, Kalanwali and Rania in the State of Haryana. Some of the HAFED Rice Mills were installed/ taken over by HAFED from the Cooperative Marketing Societies during the year 1972 -73/ 1974 -75. 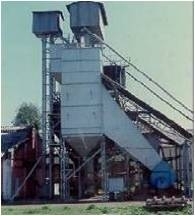 The capacities of these Rice Mills vary from 1.6 MT/ hr. to 4 MT/ hr. It was decided in 2004-05 to run HAFED Rice Mills in association with private millers for better capacity utilization and profitability. These mills were given to private parties and all the staff was provided by them and bear all variable costs in running of units. The miller will arrange their own technical staff, labour, watch and ward staff to run the rice mill. HAFED will not provide any manpower to run the rice mills. All the bye products in this case were to be retained by the millers. The millers have to deliver the custom milled rice (CMR) to FCI as per the specifications of the GOI from time to time. The millers were required to give specific milling charges for Non-Basmati paddy and Basmati paddy on the basis of agreement and the mills have to process minimum quantity of paddy per year as per agreement. In case the miller wants to install additional machines, all the investment will be made by miller. The HAFED Rice Mill, Taraori is exclusively being run by HAFED on Basmati paddy and other similar variety of paddy. The rice produced out of such paddy is sold in consumer packs as well as exported in overseas markets.